As long as we’re discussing about Launching your 1st website in Mage . So, it’s always best to move with a Magento optimised hosting provider. Actually there are many several ways to launch a eStore with Mage CMS. 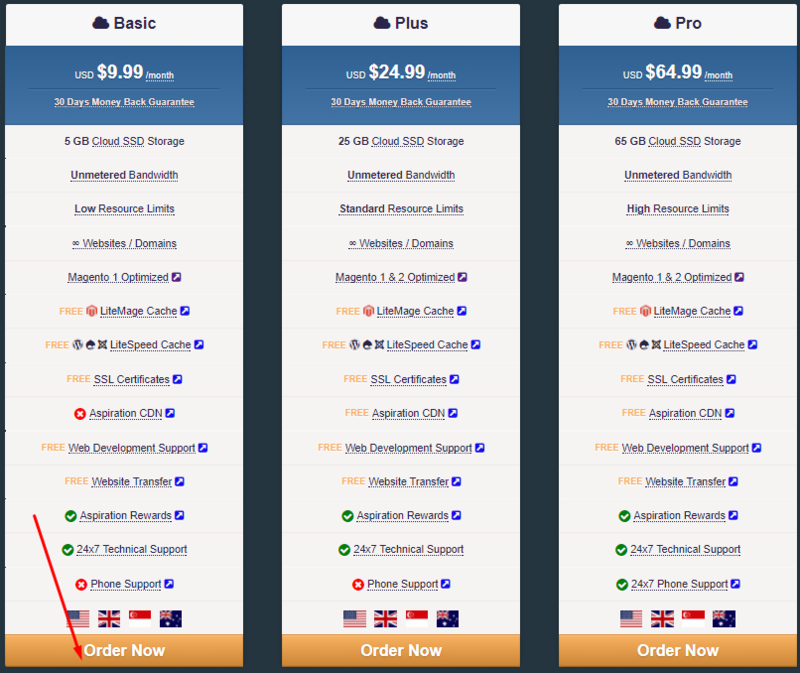 In this article to begin with we’ll start with buying a hosting plan. Here I’d like to mention that our hosting offers most easy and especially efficient options to install Mage using Cpanel. Here NOTE: we’re using Aspiration hosting as an example hosting service provider . An Aspiration Hosting Client,on the homepage use the chat screen to contact with our Sales team. In that case they surely guide you to buy a new Magento optimised Hosting plan. In absolutely free of any cost!! Simply visit our web page. Under the hosting drop down list click “Cloud Hosting”. Next a screen will open up with 3 of our cloud hosting plans. Now we’ll a see a pop up screen with message “Cloud Hosting Location”. Here we need to select one among 4 different location – US, UK, SG and also AU. 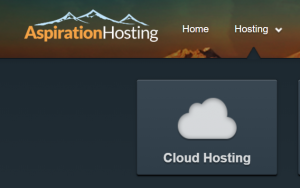 Please note the selection over cloud hosting area is dependent on your current location. In next screen you’ll need to buy a domain and you can do it again using Aspiration Website. Before choosing a domain please check for the availability. In case you have already purchased a domain name you can also transfer the domain with us from another registrar. Sure absolutely free of cost!! Or either you can use the third option and use your existing domain. Click on use to move forward. Now a new page will open where we can configure our hosting. Here: SSD storage, Bandwith & SSH Access etc. Finally review the order summary and checkout. Here fill the form regarding your personal information, client area credentials & payment details etc. So now check your email for an email mentioning all details related account. For example: FTP access, Client login area and Cpanel details and credentials etc.